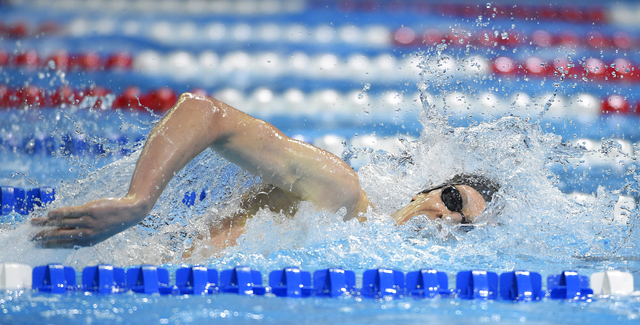 Swimmer Zane Grothe, who graduated from Boulder City High School in 2010, was on a roll at the 2016 U.S. Open from Aug. 2 to 6, sweeping three events and adding a meet record to his well-established resume. At the Jean K. Freeman Aquatic Center at University of Minnesota in Minneapolis, Grothe set a meet record in the 400-meter freestyle with a time of 3:45.63 for his New York sponsor Badger Swim Club. The former Eagle also won gold in the 200 freestyle and 800 freestyle with times of 1:47.61 and 7:51.58, respectively. 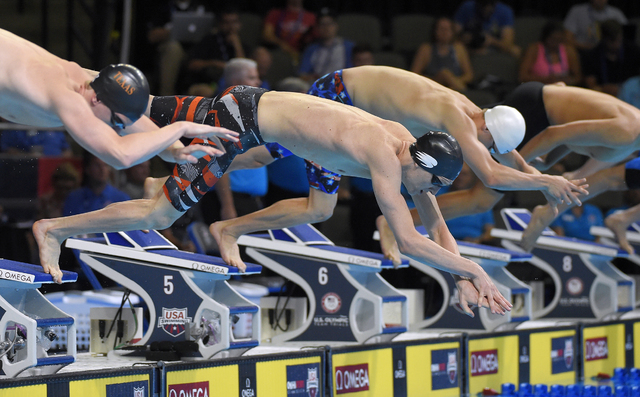 Coming off a fourth-place finish in the 400 freestyle and 16th in the 200 freestyle at the U.S. Olympic Swimming Trials in Omaha, Nebraska, held June 26-July 3, Grothe called his U.S. Open finale inspiring, but feels like he still left a little bit on the table. Grothe noted his meet record wasn’t as fast as the Trials times of the three swimmers who beat him out: Connor Jaeger (3:43.79), Conor Dwyer (3:44.66) and Townley Haas (3:45.04). After a brief break from the pool, Grothe soon will begin training for a fourth run at the USA Olympic Trials, where he hopes the mixture of added experience and retirements by some of the country’s most established swimmers will vault him into the 2020 games.